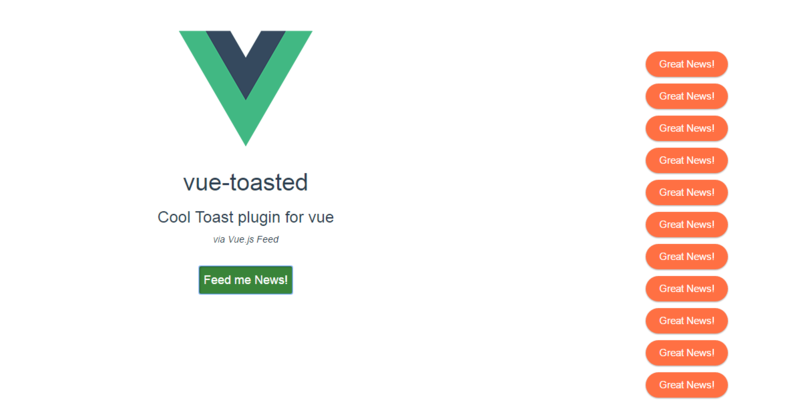 Simple to install and use material toast component for Vue.js with variety of options and styles, and responsive. For more info check the available options. 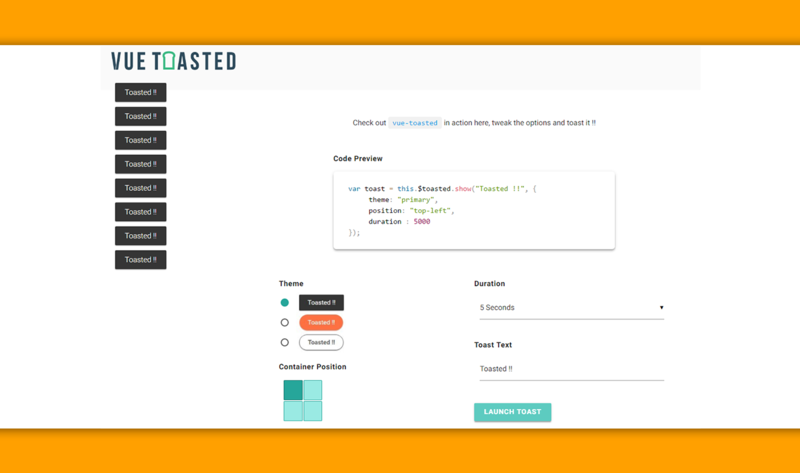 Checkout the Interactive Demo and the repo on GitHub.